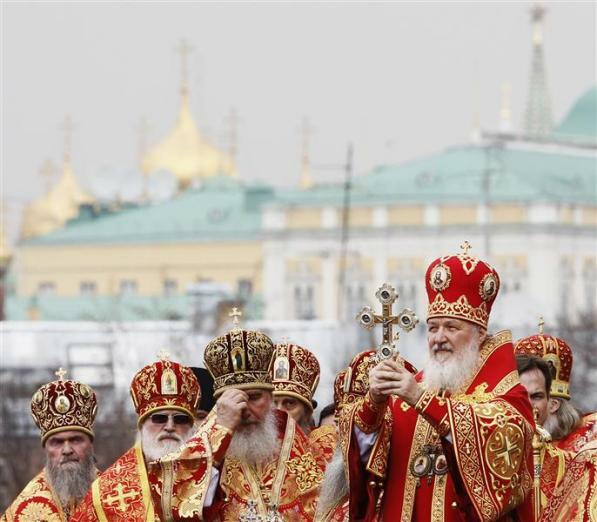 Moscow, February 13, Interfax – Sixty-three percent of Russian citizens recently interviewed by the Public Opinion Foundation (FOM) believe that it is unacceptable to criticize the Russian Orthodox Church. The public opinion survey, which was conducted in 43 Russian regions on February 1-2 and involved 1,500 people, showed that only 15% of respondents are skeptical towards the Church. Ten percent of those polled said they had recently come across media reports criticizing the Church, as compared with 19% in 2013. However, 3% of respondents said that representatives of the Russian Orthodox Church can be criticized for their attempts to accumulate wealth, 2% of those polled mentioned clergymen’s inappropriate conduct, and 1% referred to the church’s involvement in politics and remarks made by Archpriest Andrey Kurayev. Another 1% of respondents believe that patriarch Kirill of Moscow and All Russia deserves fierce criticism. A mere 25% of those polled believe that Orthodox believers have a right to criticize the Russian Orthodox Church. Respondents who took this view also noted that every person is allowed to have his own opinion on different issues (5%), and that justified criticism helps improve work (4%). Two percent of respondents said that it is normal for all people to make mistakes, and the church is no exception. Another 3% said that reasons to criticize the Church exist, and 1% of those polled said that people criticize the Church as an institute, not faith or religion. Among the 36% of respondents who said that Orthodox believers have no right to criticize the Church, 9% said that faith and criticism are incompatible, 7% called negative remarks about the Church sinful, 5% said that it is wrong and illogical to criticize the Church, and another 2% said that critical remarks targeting the Church are unethical and amoral and that the Church does nothing that deserves criticism. Forty-nine percent of those polled said that clergymen are not allowed to criticize their Church, and 24% took the opposite view. Forty percent of respondents said that non-believers have no right to criticize the Church, and 33% of those polled expressed the opposite opinion.